Singapore is a country in South-East Asia, located on several small Islands in the South China sea. Singapore is located between Malaysia and Indonesia, from which is separated in the Singapore and Johor Straits. This is one of the smallest countries and one of several city-States in the world. Singapore is an amazing city-state, built on a small area on the Islands. 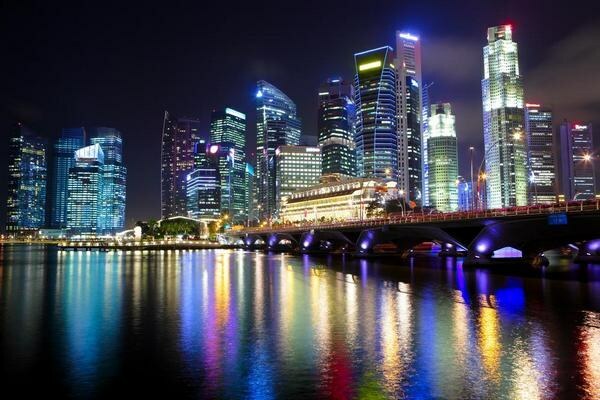 The existence of this Asian country, having reached unprecedented success in the economic and urban development, known to many, but a lot of people have a vague idea of where it is located and what borders Singapore. In addition, it is difficult to see on the map, because it is one of the smallest countries in the world. Singapore consists of one large island and several surrounding Islands. The main island has an area of more than six hundred square kilometers, it stretches in length by forty-two kilometers, and its width is about twenty-three kilometers, the shape of the island is diamond-shaped. The island was called Pulau Ujong, from the Malay Peninsula in the southern part of Indochina it is separated by a narrow Strait Pohorski, the width of which is slightly more than one kilometer. From the Islands of Indonesia, Singapore, separated by the Singapore Strait, passing between the Indian ocean and the South China sea. Other Islands of the country are located nearby, mostly on the South side of Pulau Uganga. The largest island after the main island of Singapore called Ubin, Semakau, Sentosa, Battle, Sudong. Distance Singapore to the equator – only a hundred and forty kilometers. The total area of Singapore – a little more than seven hundred square kilometers kilometers, the population density in the state is high, so the government aims to expand the territory of the country through projects of reclamation of land. Thus since the mid-twentieth century, the area had already been increased from five hundred eighty square kilometers. New project Singapore suggests that by 2030 the area will increase by one hundred square kilometers in the merger of several small Islands with Pulau Uganga. Singapore is a city-state, so all of the above also applies to Singapore as to the city. But in fact urban areas are located mainly on the island of Pulau Ujong. The rest of the island constitute nature reserves and storage tanks. Singapore does not have any land borders, as this island state. Islands are washed by the South China sea is its border. The country has Maritime boundaries with Malaysia, located on the Malay Peninsula and the Northern part of the island of Kalimantan to the East of Singapore and with Indonesia, which occupies several large Islands in the South China sea, including the greater part of Kalimantan. South of Singapore on the Indochina Peninsula is located in Vietnam, Cambodia, Thailand, South-East of the island Philippines.